Tá cruinniú socruithe idir an Grúpa Um Gníomh Tithíochta (Housing Action Group?) agus lucht bainistíochta an Roinn Gnóthaí Fostaíochta & Coimirce Sóisialtaí i gCorcaigh maidir le todhchaí an tAonad do Dhaoine gan Dídean i sráid an Drinán. Beidh an cruinniú ag a 3 a chlog De Luan seo chugainn, 30ú Iúil. Is mar thoradh ar agóid a tharla inné atá an cruinniú seo eagraithe, beidh beirt den Ghrúpa Gnímh i láthar, an Comhairleoir Diarmaid Ó Cadhla agus Jimmy Brosnan. A meeting has been arranged between management of the Department of Social Protection in Cork and the Housing Action Group who picketed and then occupied the Drinan Street Homeless Persons Unit yesterday in protest about conditions at the facility – which they claim disrespects homeless people. 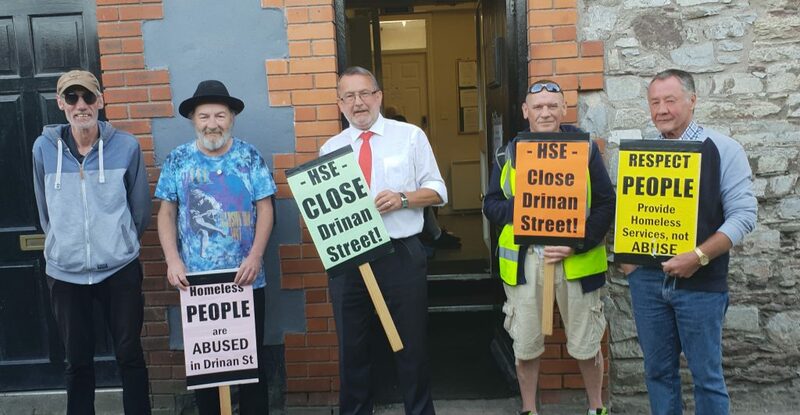 Yesterday’s protest in Cork was the second time the Housing Action Group has picketed the facility at Drinan Street – they vow to continue their protests until the unit is closed down and proper, respectful services and facilities are made available. 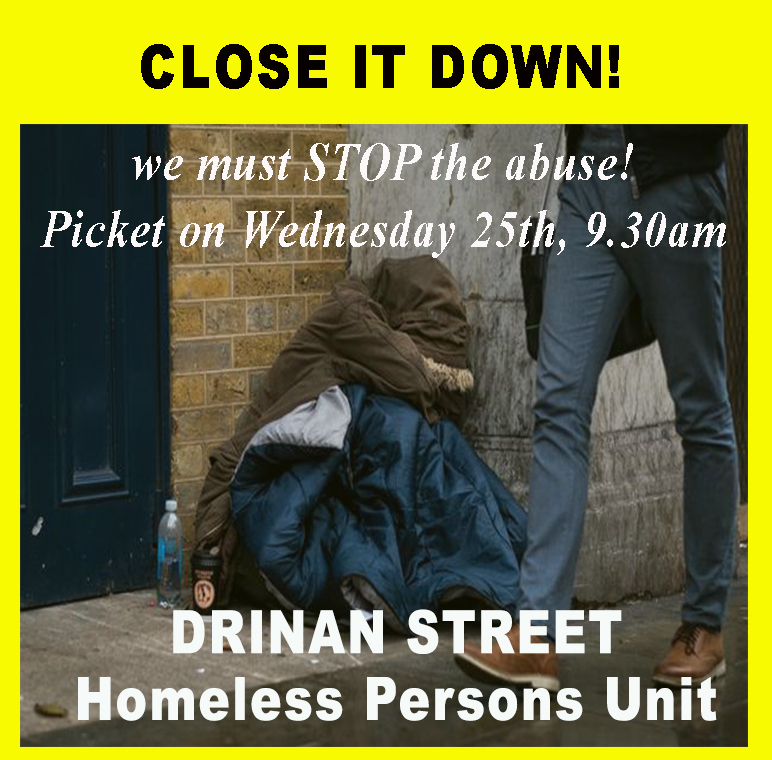 Previous Previous post: Homeless Persons Unit at Drinan Street must be Closed Down!